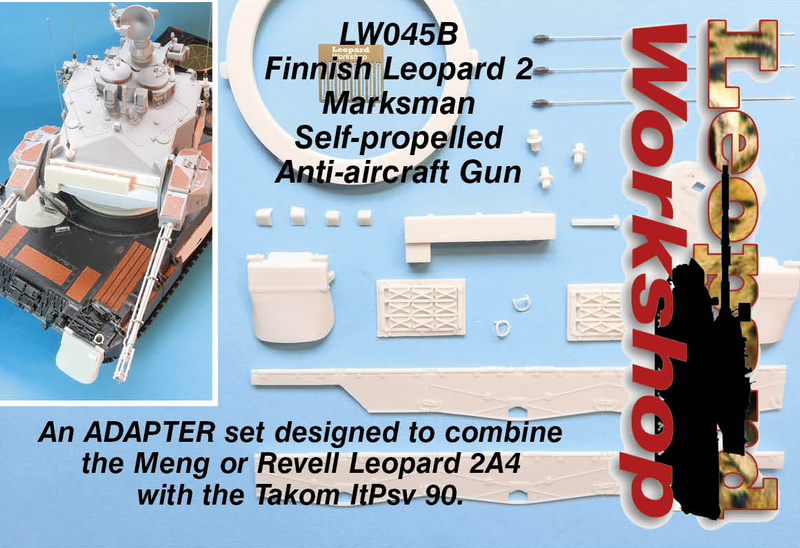 An ADAPTER set designed to combine the Meng or Revell Leopard 2A4 with the Takom ItPsv 90. 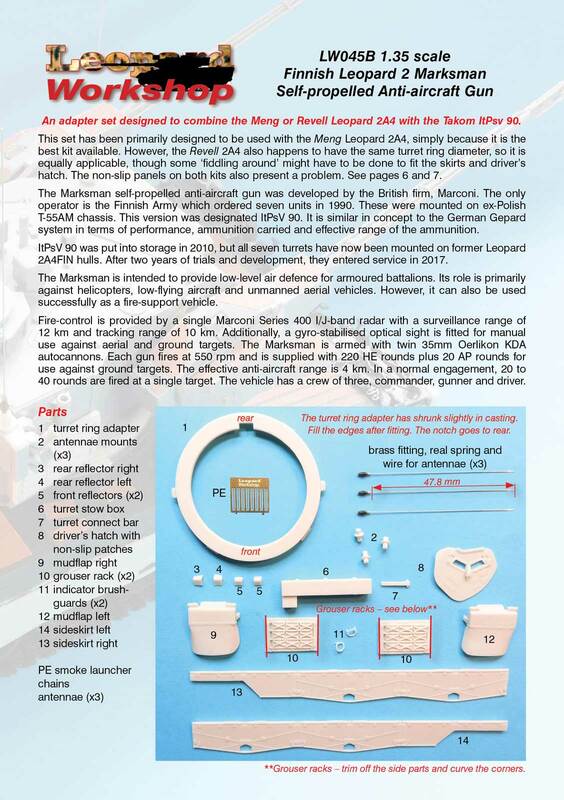 This set has been primarily designed to be used with the Meng Leopard 2A4, simply because it is the best kit available. However, the Revell 2A4 also happens to have the same turret ring diameter, so it is equally applicable, though some 'fiddling around' might have to be done to fit the skirts and driver's hatch. 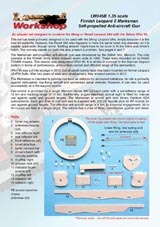 The non-slip panels on both kits also present a problem. 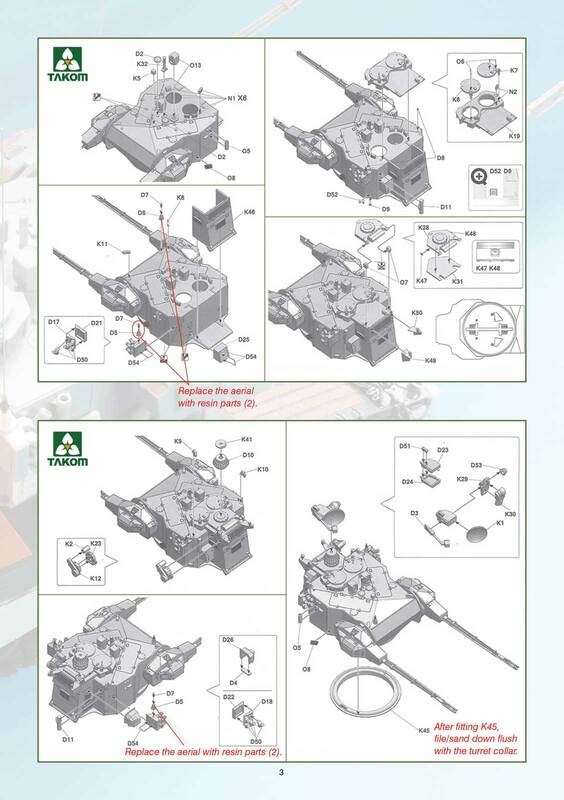 This set does NOT include the Takom turret. 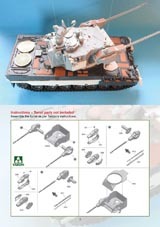 It does include 18 resin parts, PE smoke launcher chains and antennae with real spring bases and turned brass fittings. 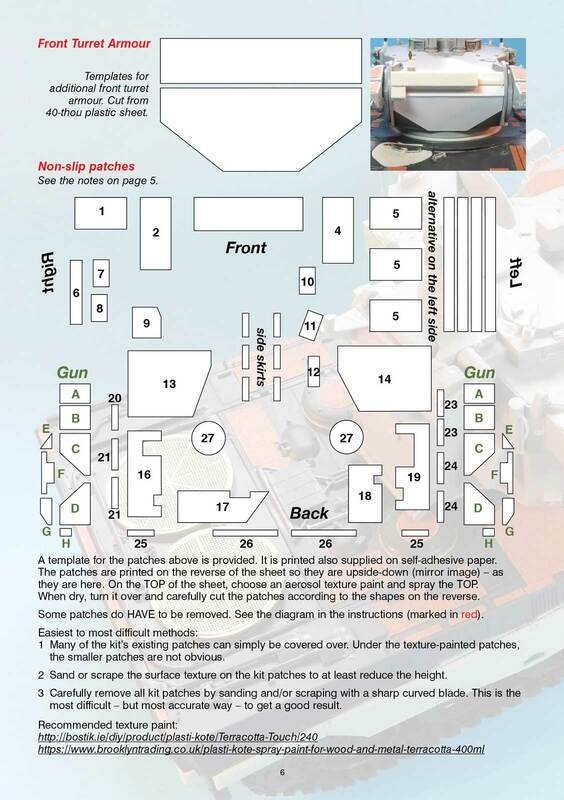 Plus a self-adhesive sheet to help you make your own non-slip panels. 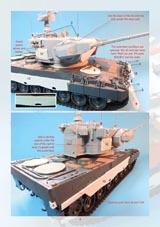 The Marksman is intended to provide low-level air defence for armoured battalions. 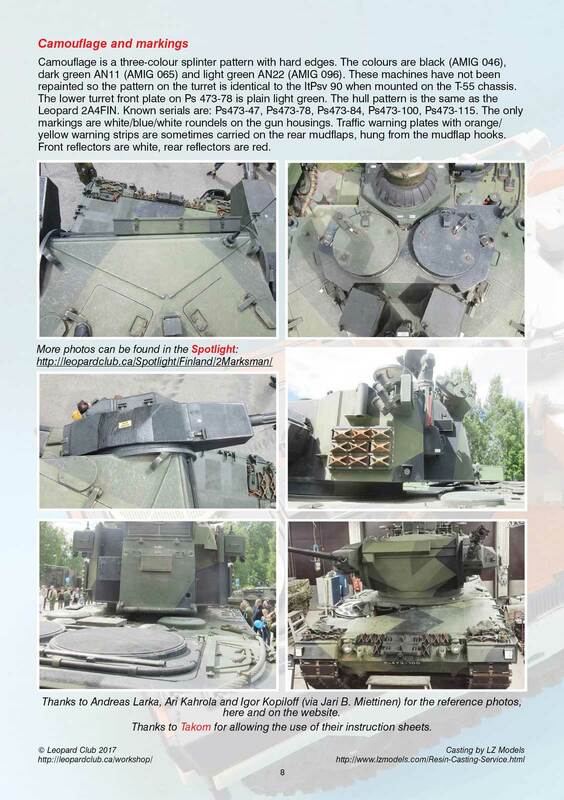 Its role is primarily against helicopters, low-flying aircraft and unmanned aerial vehicles. 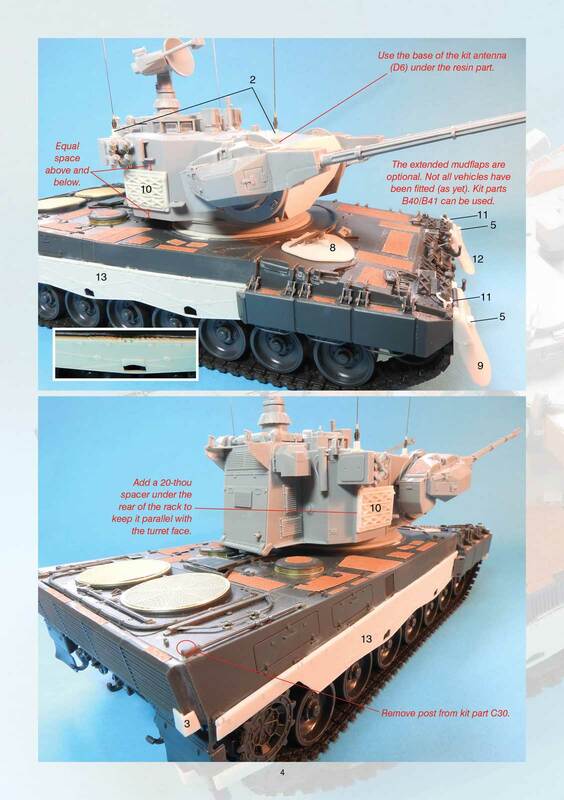 However, it can also be used successfully as a fire-support vehicle. Fire-control is provided by a single Marconi Series 400 I/J-band radar with a surveillance range of 12 km and tracking range of 10 km. Additionally, a gyro-stabilised optical sight is fitted for manual use against aerial and ground targets. 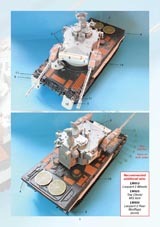 The Marksman is armed with twin 35mm Oerlikon KDA autocannons. 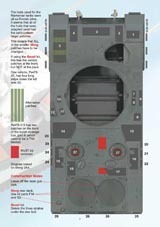 Each gun fires at 550 rpm and is supplied with 220 HE rounds plus 20 AP rounds for use against ground targets. The effective anti-aircraft range is 4 km. In a normal engagement, 20 to 40 rounds are fired at a single target. The vehicle has a crew of three, commander, gunner and driver. 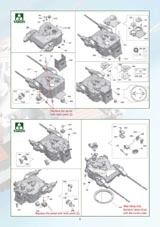 The full conversion (including the Takom turret parts) is available as	LW045. 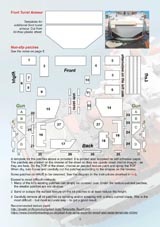 Thanks to Andreas Larka, Ari Kahrola and Igor Kopiloff (via Jari B. Miettinen) for the reference photos in the instructions and on the website. 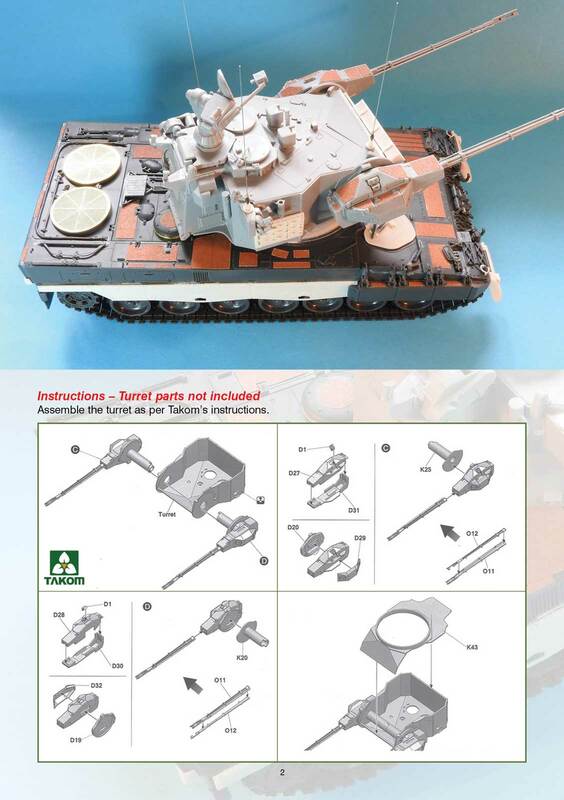 Thanks to Takom for allowing me to use their instruction sheets in this conversion set.